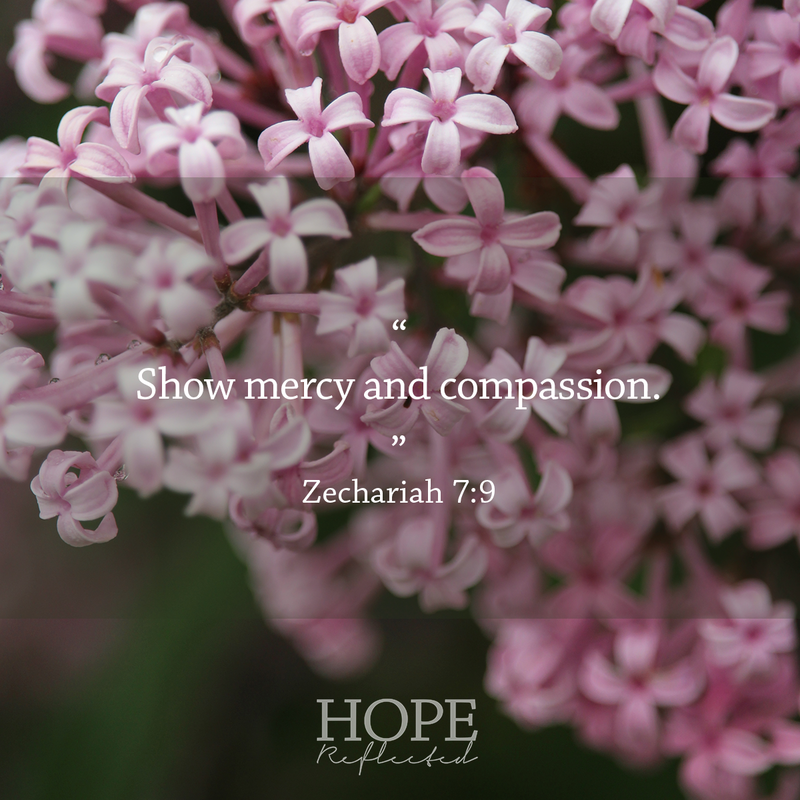 How can you live a life filled with mercy? David and Saul. You’ve likely read about their tumultuous relationship before. David was that guy that Saul just loved to hate: Successful, beloved, and righteous. Saul couldn’t stand it. He hated David, so much so that he pursued David throughout the wilderness because he wanted to kill him. And what happened? Well, in the end, Saul dies in the most tragic of circumstances, but before that happens, we see perhaps one of the most moving examples of mercy documented in the Bible. Whether or not he was sleeping or using the bathroom is beyond the point, but in the midst of his pursuit of David, we find Saul taking a break in a cave (1 Samuel 24:3). It just so happens that this very cave is the place where David and his men were hiding! Saul is completely unaware of his present company, while David and his men contemplate their next move, and what does David do? He spares Saul’s life, and he doesn’t let his men kill Saul, either. He chose to show goodness rather than evil to the very person who was purposefully practicing evil against him, and he encouraged his men to do the same. David demonstrated mercy. God’s mercy is described in many ways throughout the Bible: Great (Isaiah 54:7), sure (Isaiah 55:3), abundant (1 Peter 1:3), tender (Psalm 25:6), new every morning (Lamentations 3:22-23). Quite often in Scripture, we read about God’s mercy in its plural form (God’s mercies). We serve a God Who doesn’t just show us mercy in one way – He is filled with mercies. As Christians, we should lives that exhibit mercy, just as Christ demonstrated toward us when he went to the cross so we could have eternal life. So how can you live a life filled with mercy? You can live a life filled with mercy when you show mercy to others. “Show mercy and compassion every man to his brother.” (Zechariah 7:9) Mercy can be defined as not getting what you deserve. When you live a life filled with mercy, you show compassion to others even when they treat you with cruelty. When you apply mercy in your own life, you exercise forgiveness. You can live a life filled with mercy when you learn to love mercy. “He hath showed thee, O man, what is good; and what doth the LORD require of thee, but to do justly, and to love mercy, and to walk humbly with thy God?” (Micah 6:8) I don’t think you can love mercy until you’ve truly experienced it. And the greatest mercy of all? God’s gift of eternal life to us. Some versions of the Bible replace “love mercy” in Micah 6:8 with “love goodness,” or “love kindness”. When you live with mercy, you learn to love that virtue and the others that go along with it. You can live a life filled with mercy when you keep mercy close to your heart. “Put on therefore…bowels of mercies, kindness, humbleness of mind, meekness, long-suffering….” (Colossians 3:12) Your bowels are the deepest part of you. The term “bowels of mercies” suggests that mercy, like many other virtues, comes from the deepest part of you. When you truly have mercy in your heart, you’ll show it through your actions towards others. We see God’s mercy demonstrated toward us in His forgiveness, His gift of eternal life to us. As C.S. Lewis once said, “To be a Christian means to forgive the inexcusable because God has forgiven the inexcusable in you.” Mercy doesn’t come naturally, it is learned through a personal relationship with God. When you have a relationship with God, God’s mercy toward you is bigger than any mistake you can make. God’s mercy is inexhaustible. And when you see God’s mercy at work in your own life, you’ll be better equipped to live a life filled with mercy. Originally published as “Mercy.” Minto Express, Independent Plus, Arthur Enterprise-News, Mount Forest Confederate. January 18, 2018: 6. Print. Web.